Many thanks to our sponsors, without whom it simply wouldn’t be possible to hold the Winchester Unconference. Huge thanks to our event sponsor and host, Winchester City Council. Drawnalism simplifies live reporting of events for forward thinking and innovative companies, institutions and organisations. In-the-Moment Drawnalism allows attendees to focus on participating, rather than worrying about taking notes. We know that people remember pictures far better than words alone. And Drawnalism provides a visual record for everyone involved which drives real engagement. Drawnalism can also be used before and after the event to generate effective delegate communications and to deliver impact on social media. Konexus Consulting are the experts in People Development. As a Organisational (Business) Psychologist (MSc) I support businesses in attracting, assessing and developing great talent for their business. Ensuring you have the right people in the right roles takes knowledge and experience. Today it is as much about behaviours, values, attitudes and cultural fit, as it is skills and qualifications. 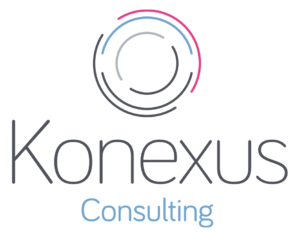 Konexus goes further to ensure your business has a robust resourcing strategy, hiring process and leadership development initiatives, matched against commercial requirements, to ensure you recruit, develop and retain employees effectively. Nquiringminds specialises in Smart Cities, data analytics and Internet of Things. Our solutions focus around digital transformation, using our expertise in the IoT and data analytics spaces to unlock efficiency and cost savings in existing and new processes. The Trusted Data Exchange (TDX), a next generation data platform; and InterliNQ, a secure IoT hub with edge processing capabilities. UKGovCamp is an annual event for anyone who cares about public services. Supported by a wide range of organisations, UKGovCamp helps new events get going through its grant funding programme. Not too late to sponsor! It’s not too late to sponsor Winchbiz. If you think you might be interested, please see our Info for Sponsors.